This year during National Reconciliation Week all Australians are being invited to learn more about Aboriginal and Torres Strait Islander cultures and histories. 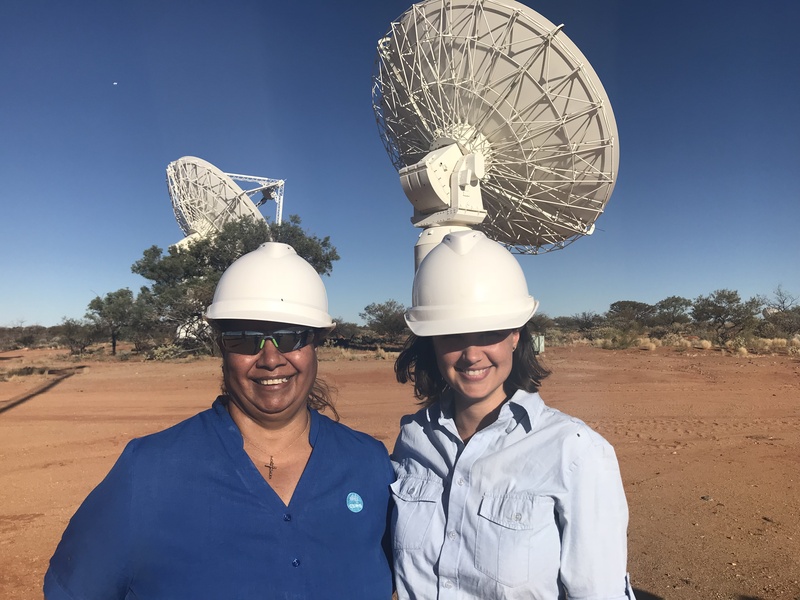 Here at CSIRO’s Australian Telescope National Facility (ATNF) we have been working closely with the Wajarri people as part of establishing the site for our new Murchison Radio-astronomy Observatory (MRO) in outback Western Australia. Here we share a snapshot of Wajarri history through the story of their struggle to access education during the 1900’s. We celebrate the Wajarri native title determination of 2017, fill you in on the MRO Indigenous Land Use Agreement and take a look at how CSIRO works with the Wajarri today, to ensure every visitor takes away not only a thing or two about radio astronomy but some knowledge of the history and culture of the ancient land on which we operate our Australian Square Kilometre Array Pathfinder (ASKAP) radio telescope and related facilities. Throughout the 1900’s Aboriginal children faced significant barriers to education and many Wajarri families in the Murchison region lived and worked on remote pastoral stations, making access to education even more challenging. In 1910 Aboriginal children were excluded from the local State school in Mullewa and although a teacher’s strike in 1920 led to some improvements to access, Aboriginal children were still excluded from schools if parents of other children objected to their attendance. Wajarri historians report that the last Aboriginal child in the Murchison region to be excluded from school on 'health and hygiene rules' occurred at Watheroo in 1954. By the 1960s Yalgoo and Cue government Hostels for Aboriginal students opened and there was a drift to towns as ‘station women’ brought their children to be educated. ‘Menfolk’ still moved between stations seeking work and by this time most Aboriginal children on pastoral stations were being sent to missions for their education. During this period there were many reports of Aboriginal children being punished for using their language at the missions. Language centres were set up in some regions, with traditional language being taught in some schools. **It's interesting to note that the Pia Wajarri Aboriginal Community, situated just south of the MRO, has a very unique history as it is the only land in Western Australian that was ‘given back' to the Wajarri people. John Forrest gave this land to the Wajarri because they saved his life and that of his men, when they were on an exploring expedition throughout the Murchison in the late 1800’s. Upon completing the expedition, Forrest became the first Premier of Western Australia and he gave the land to the Wajarri people. They Pia Wajarri Aboriginal Community was not settled until 1986. In 2008 Wajarri became the first Australian Aboriginal language available at senior secondary level in Western Australia. Here’s a Wajarri dictionary app that was developed by the Irra Wangga (Geraldton Language Programme). Quick tip: The word for 'man' in Wajarri is Yamaji (sometimes spelt Yamatji). In October 2017, the Wajarri Yamaji received legal recognition of their land and culture from the Federal Court of Australia. The Court’s Consent Determination covers the majority of the Wajarri Yamaji claim area (68,743 square kilometres of the total 97,676 square kilometres). It encompasses parts of the Shires of Meekatharra, Mount Magnet, Murchison, Upper Gascoyne, Cue and Yalgoo, as well as 56 pastoral leases. The MRO is an area of approximately 120 sq km excised from the Boolardy pastoral lease as a new diversified use lease in 2009, to enable the construction of The Australian Square Kilometre Array Pathfinder (ASKAP) telescope, The Murchison Widefield Array (MWA) and The Experiment to Detect the Global Epoch of Reionization Signature (EDGES). CSIRO employs an Aboriginal Liaison Officer in Geraldton – currently Ms Leonie Boddington. A new ILUA is being developed to cover the expansion of the MRO to the whole of Boolardy station to enable construction and operation of the Square Kilometre Array (SKA) telescope as well as the ongoing operations of the existing telescopes. Once finalised, it will replace the existing agreement. Whilst the ILUA is being finalised, progress towards establishing the site for the SKA in Australia has begun. 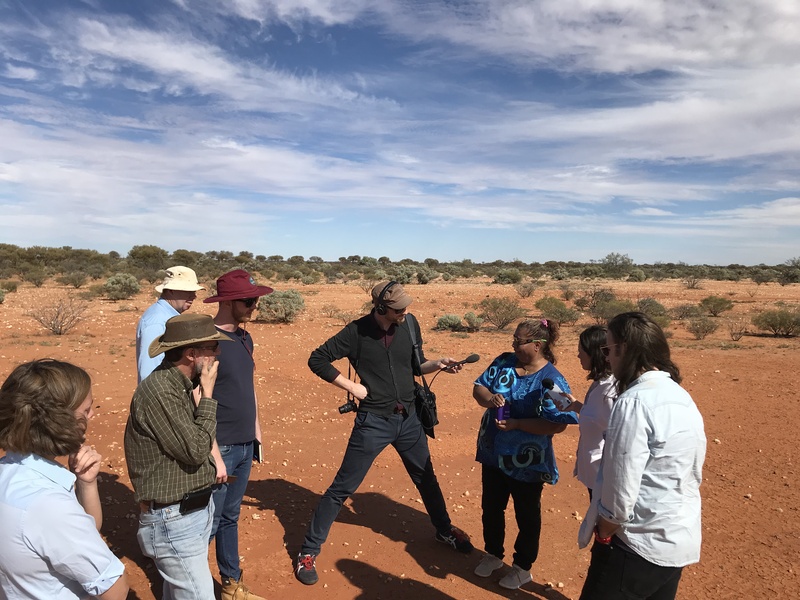 The first step is to undertake a ‘Heritage Survey’ whereby Wajarri people walk-over the proposed telescope site to check for culturally significant artefacts or sites. CSIRO is working with the heritage service provider and they have completed the first part of the walk-over with a report to be delivered and further territory to be covered in the coming months. As part of the ILUA, Wajarri elders are informed of all VIP guests who are planning to visit the MRO and they are invited to perform a traditional welcome to country. 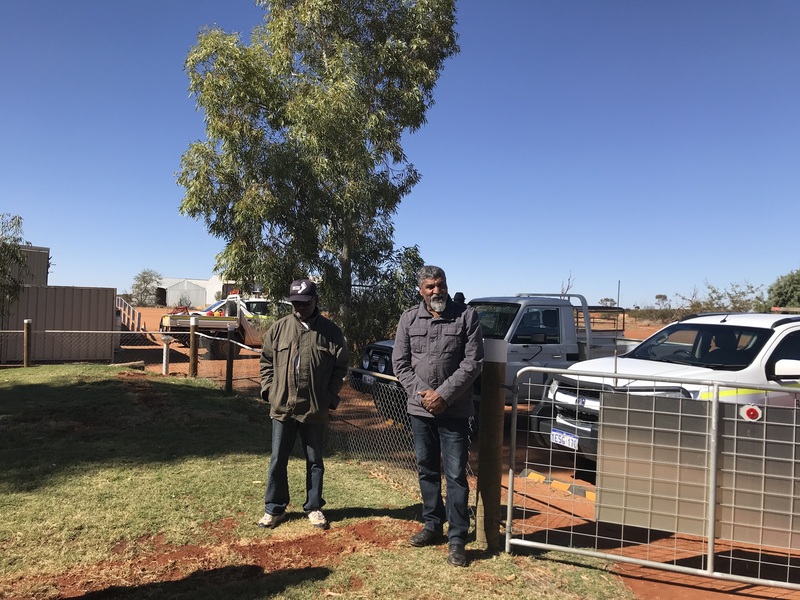 During National Reconciliation Week, CSIRO hosted some journalists at the MRO for a site tour and Anthony Dann, Wajarri Elder, welcomed them upon arrival. Leonie Boddington is CSIRO’s Indigenous Liaison Officer (ILO), based at CSIRO’s Murchison Support Facility (MSF) in Geraldton. Leonie works within the CSIRO team to support the commitments under the ILUA. Leonie provides Heritage Inductions for all visitors to the MRO, she also engages with the CSIRO team to provide outreach to Wajarri Yamaji about CSIRO’s radio astronomy related activities and provides advice to CSIRO staff on Wajarri cultural matters. 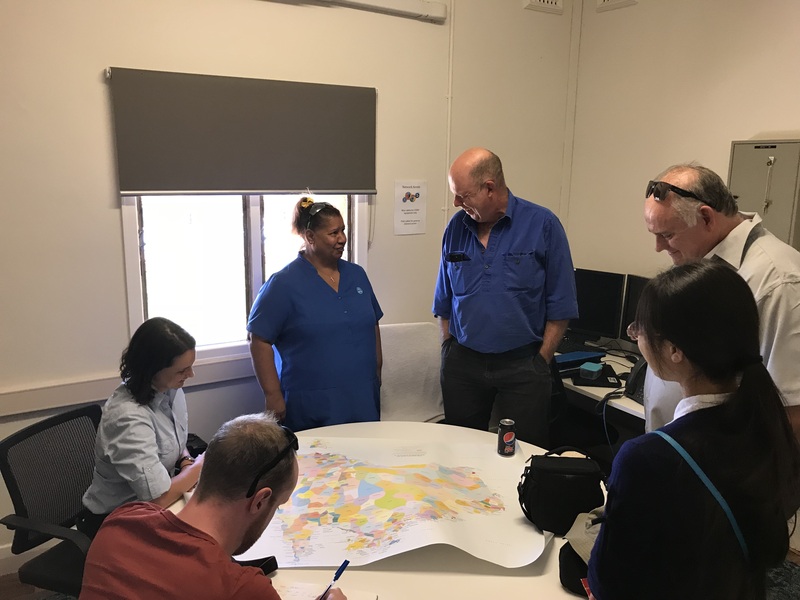 Last week Leonie provided heritage inductions to the journalists visiting the MRO, she also liaised with Wajarri elder, Anthony Dann, who performed a Welcome to Country and assisted in the co-ordination of a new series of Heritage ‘walk-overs’ as part of the establishment of the SKA. (l to r) Prof. Lisa Harvey-Smith (CSIRO), Antony Schinckel (CSIRO), Liam Mannix (Fairfax), Huw Morgan (CSIRO), Jonathan Webb (ABC), Leonie Boddington, Rae Johnston (Gizmodo), Ben O’Shea (The West Australian).